It’s that wonderful time of year when almost every brewery, bar, and restaurant embraces malty beers and excess carbs. We’ve survived the heat of summer and now it’s time to celebrate… the harvest, the (somewhat) cooler weather, and the great German drinking traditions of Oktoberfest! This is the most important part. Now is not the time for cheap 30-racks or stale leftover IPAs. Splurge on the good stuff, or at least encourage your guests to help foot the bill. Supply German-style beers made locally and beers that are made according to German purity standards. Make your own radlers with local sodas too! Get growlers of malty fall releases from your local breweries, some packaged cans/bottles, and some German brews to have a wider range. Most importantly, drink and play responsibly. Don’t be a dumbass and ruin it for everyone. Decorate Lebkuchenherzen, traditional gingerbread hearts. Decorate cookies with icing, sprinkles, and candies or cardboard ones with various art supplies. Provide a list of dirty and/or drinking phrases to get the creativity flowing. Hammerschlagen! 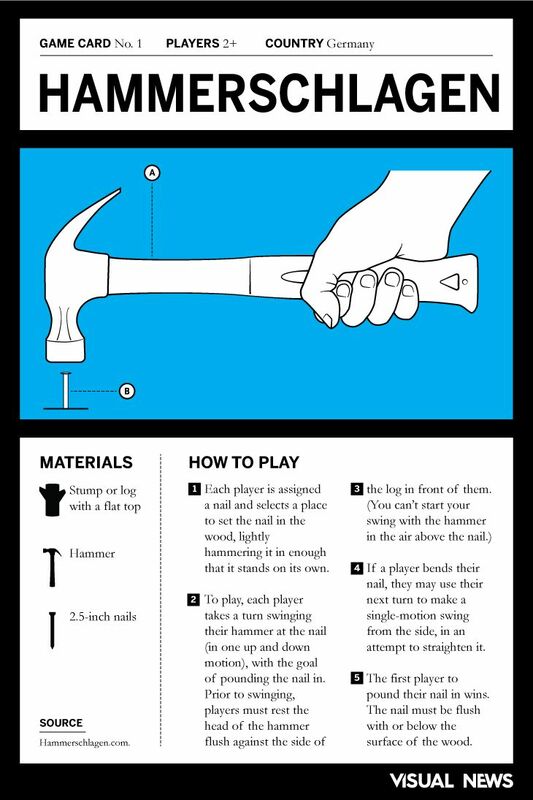 A box of nails, a hammer, a stump… a little dangerous, a lot of fun. 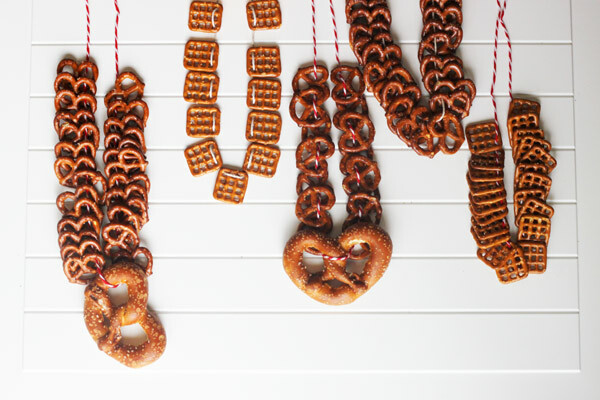 Make pretzel necklaces with string and snacks. Provide photo props like German costume accessories, chalkboard signs, mustaches, and photo frames. Break out the typical yard, card, and drinking games. Make centerpieces with flowers and grasses in bottles or steins. Cue up the German oompah music mixed with drinking songs and your favorite jams to drunkenly sing along with. Almost as important as the beer, a great Oktoberfest requires lots of hearty, carby foods! Sausage party! Cook your brats and sausages in beer for extra festive flavors. Set up a bar with lots of topping options. Make sausage, potato, and veggie skewers for easy one-handed eating! Pretzels! Even better with cheese, mustards, and butters. Roast chicken or duck is a traditional Oktoberfest favorite. Try beer can chicken or grab some rotisseries for convenience. Whether you make your party as authentic as possible or just borrow a few pieces for your backyard gathering, fall is the perfect time to gather around with good beer and food in the company of friends. Looking for even more ideas and info? 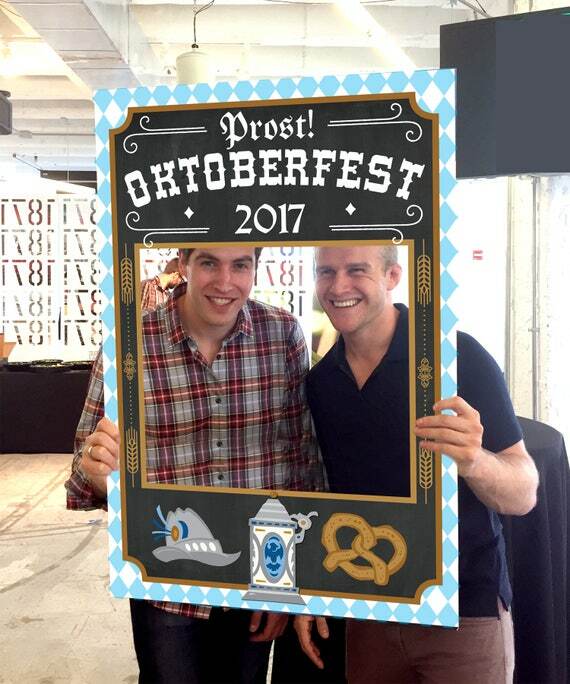 Check out this great post about Oktoberfest in Munich or this one about throwing an Oktoberfest at home! How are you celebrating the Oktoberfest season? What are your favorite beers, snacks, or traditions? Pretzel necklaces….its so brilliant hahahahaha!